Tom Brady was fined $10,000 last night after a slide against the Ravens last week that the league called a dirty play. Not that it matters, I’m pretty sure him and Gisele can swing the 10k. Ed Reed said he didn’t mind the play that much because it was in the heat of the game, but Bernard Pollard (one of the dirtiest guys out there) took to the media to complain. He said that if you can call it on the defense, you have to be able to do what’s right and call it on the QB too. Anyways, I like Brady for doing this. 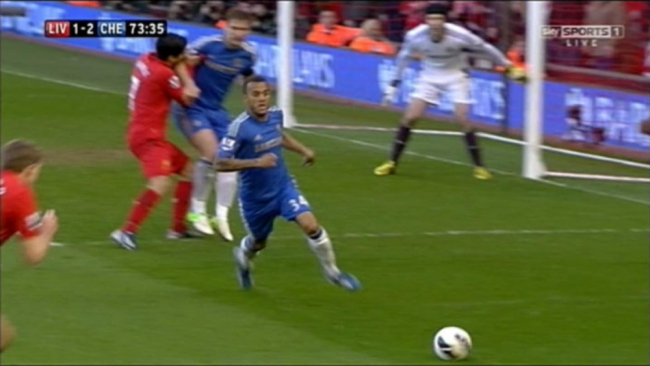 It shows that he was pissed off and wanted to do anything to win. Ignore the voice of the guy in the video, even though it is pretty amusing. Well so much for my prediction of a Denver Broncos vs. Seattle Seahawks Super Bowl. As you probably know by now, both those teams lost this past Saturday and Sunday. The Baltimore Ravens beat the Broncos 38-35 in OT at mile high and the Atlanta Falcons edged their way past Seattle by a score of 30-28 in Hot-lanta. The other two teams to advance were the New England Patriots who defeated Houston 41-28 and the San Francisco 49ers who beat Green Bay 45-31. Tom Brady and Joe Flacco meet up in the AFC Championship game for round two of what is sure to be a great grudge match between these two squads. If you find yourself feeling a sense of Deja Vu’ this Sunday, that’s because these two teams met up in last year’s AFC Champ showdown. The Ravens though are hoping this Sunday is anything but a re-run of last year’s finish, which left them a few plays away from reaching Super Bowl XLVI. Meanwhile, the Pats will be trying to return to the Super Bowl once more to avenge last year’s loss to the New York Giants and capture their first Lombardi Trophy since 2005. The Patriots will also have to try and beat Baltimore without the help of Rob “Gronk” Gronkowski. Gronk suffered an injury to his forearm in last Sunday’s win over Houston and will miss the remainder of the post-season. My Prediction: Despite missing a big-time weapon like Gronk, I feel as though the Pats can outlast the Ravens in a great showdown between Brady and Flacco. Though on a sad note, it will be tough to watch knowing it could likely be NFL linebacker great Ray Lewis’ last NFL game. Nevertheless, New England wins 24-21 edging Baltimore out again and returning to their second straight Super Bowl. This matchup will be a slightly different grudge match between these two teams. On one side you have San Francisco who like Baltimore were a few plays away from last years Super Bowl when they lost to the Giants in OT by a field goal. So, like Baltimore, the 49ers will look to avoid the same fate twice against 1st seeded Atlanta. On the other hand, the Falcons want to prove their the same team who started the season 8-0 and finished the season tied for he NFL’s best record with the Denver Broncos at 13-3. Atlanta will look to avoid another fruitless post-season and return to their first Super Bowl appearance since 1998 (where the Falcons lost the then defending Denver Broncos 34-19). My Prediction: This game will ultimately come down to one key factor that has been absent throughout this year’s playoffs…DEFENSE. The Falcons arguably sport one of the top QB’s in the league with Matt Ryan behind center. Ryan can light up a scoreboard and uses his weapons on offense like a General on the battlefield. Meanwhile, the 49ers, have an X-factor at QB…Colin Kaepernick. He put up a stat line against Green Bay that was like something straight out of a Madden game: 444 total yards of offense with 4TDS (2 passing, 2 rushing) that’s 263 passing yards and 181 rushing yards (the most ever by a QB in a playoff game). With that said, whichever defense can hault the others QB first wins this battle. I give this one to San Fran as Patrick Willis and Co. find away to stop Matt Ryan and the Falcons at home. 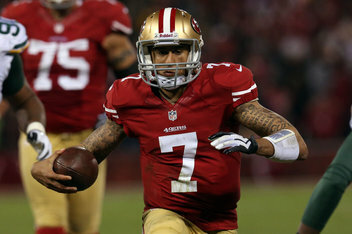 49ers win 31-21 as Kaepernick does it again with 276yds passing for 2TDS and 77yds rushing and 1 rushing TD. On the games biggest stage two storied franchises collide in a Super Bowl for the ages. In what will be a grueling back and forth battle in the Superdome of New Orleans, I have the Patriots edging out the 49ers 28-24 as the Pats capture their first Super Bowl title since 2005. Tom Brady wins SB MVP. Final Thoughts: We’ll see how it all plays out this Sunday. Until then, what do you think will happen in the Championship games? Who do you have winning Super Bowl XLVII? Leave a comment. Houston (12-4) will probably feel a sense of Deja Vu as they play the Bengals (10-6) on Saturday as the two tangoed in last years playoffs. 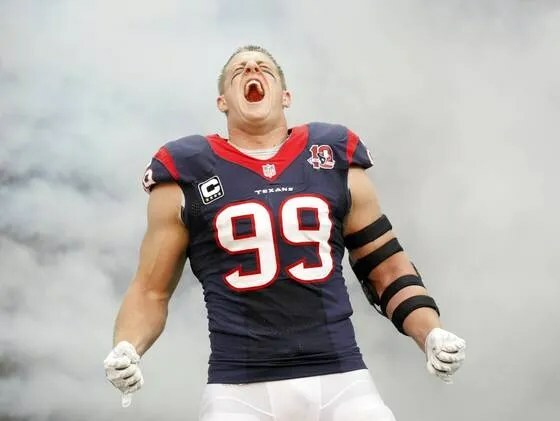 The game marked the first time the Texans had made the playoffs resulting in a 31-10 drubbing of Cincy. Houston Playmakers RB Arian Foster, DE J.J. Watt and WR Andre Johnson were keys to victory against the Bengals last year and will be relied on again come Saturday. Also the Texans will have starter Matt Schaub this year (Schaub was injured last season late). For Cincinnati, second year studs QB Andy Dalton and WR A.J. Green will be the X factors for Cincy on Saturday. Also, to the Bengals credit, their defense has been solid all season finishing the year with the 7th best passing defense (212.5 yards per game) and the 12th best rushing defense (102.5 yards per game). Prediction: I foresee a more competitive contest between these two teams in this go-around. The game will ultimately come down to turnovers. Andy Dalton threw 3 interceptions in last years wild card game. The Texans committed no turnovers. I have the Texans winning 21 to 17 over the Bengals. The Ravens (10-6) will take on the surprising Colts (11-5) in a game that will be high with emotions on both sidelines. The Ravens were a few different play calls away from making it to the Super Bowl last year, and went on a campaign to prove themselves this year in the AFC (though they slowed down at seasons end). The Colts came into this season with little to no expectations at all. A rookie quarterback leading a team that went 2-14 the season before didn’t exactly add up to a winning season. However, Andrew Luck and Co. fought their way into the post-season game by game. Not to mention doing so while watching their head coach, Chuck Pagano, battle Leukemia . The Ravens will be led by QB Joe Flacco and RB Ray Rice as they’ll attempt to mix their power running game and passing attacks together to try and overwhelm Indy’s defensive schemes. The Colts will no doubt rely heavily on the shoulders of potential Rookie Of the Year winner Andrew Luck. Luck broke Cam Newtons rookie record for passing yards in a single season finishing with 4,374 yards. Prediction: I see the Baltimore Ravens winning this contest, but not without a fight from Indy. While the Ravens defense hasn’t been up to snuff with the loss of Ray Lewis and Co. I still believe the Ravens have the upper hand in this one. Luck and the Colts have had a phenomenal season, no doubt about it, but I believe the magic ends this Sunday as Luck cracks under the pressures of post-season play. Ravens win 28-13. The Packers (11-5) were stunned by the New York Giants in last years NFC Divisional Round and have an opportunity in this years post-season to prove their still as good as they were when they won it all in 2011. The Minnesota Vikings were similar to the Indianapolis Colts this year in the sense that they weren’t expected to make the playoffs. With second year QB Christian Ponder at the helm, and Adrian Peterson coming back from a knee injury, Minnesota had a few questions marks to say the least. Well, Adrian “All Day” Peterson had a response…run…a lot. Led by Adrian Peterson’ stunning season, becoming only the 7th NFL rusher to reach 2,000 yards (he finished with 2,097 yards), the Vikes find themselves in the post-season. Green Bay will no doubt be led by the likes of QB Aaron Rodgers, LB Clay Matthews, and WR Greg Jennings, etc. The Packers started shaky at 2-2 but finished strong going 10-2 to close out the season. The Vikings will no surprise call an number 28 to once again carry the load and the team on his shoulders in this one. The Vikes could stand a chance in this one seeing as they did beat Green Bay to close out the season 37-34. This one, however, I have going to Green Bay with the Packers winning 21-7. The Seahawks (11-5) and the Redskins (10-6) are nearly mirror images of one another. Both teams sport sensational rookie QB’s in Seattle’ Russell Wilson and Washington’ Robert Griffin III. Both teams are in the top 5 in the NFL for rushing yards per game, Washington leading the league with 169.3yds and Seattle in 3rd with 161.2yds. The only edge Washington has over Seattle is that the Skins made the playoffs by winning the NFC East division in a season finale this past Sunday over the Dallas Cowboys. Despite both teams having play-makers on both sides of the ball, this games outcome will be determined by the play of two men. The performances by Seattle’ Russell Wilson and Washington’ Robert Griffin III will decide who moves on and who goes home. I predict a shootout in this one with both rookie QB’s trading punches all game long. I have Seattle edging out Washington 31-28. The Denver Broncos and New England Patriots earned a first round bye, same for the Atlanta Falcons and San Francisco 49ers. Both the Broncos and Falcons earned home-field advantage throughout the playoffs. With the picks I made above the Broncos would play the Ravens with the Patriots playing the Texans in the AFC. In the NFC, based on my picks, the Falcons would play the Seahawks and the 49ers would play the Packers. Patriots vs Texans: The Pats send Matt Schaub and the Texans home as they win 24-14 in style led by Tom Brady and Co.
Ravens vs Broncos: Peyton Manning and the Broncos make it look easy in Mile High Denver as they beat Baltimore 28-14. AFC Championship Broncos vs Patriots: Peyton Manning gets the better of Tom Brady and leaves New England fans heart broken as Denver wins it at Mile High by a score of 24-21. Falcons vs Seahawks: In an absolute shocker, I have the Seahawks upsetting the Dirty Birds as Russell Wilson and Seattle find a way to keep Matt Ryan and Atlanta at bay winning 17-14. Packers vs 49ers: The Colin Kaepernick show continues, with help from the defense and a solid rushing performance by Frank Gore, as San Fran sends Aaron Rodgers and the Green Bay Packers packing with a final score of 28-24. NFC Championship 49ers vs Seahawks: In an NFC West battle for the ages I have the Seattle Seahawks pulling off another upset and catapulting themselves into their first super bowl appearance since 2006. The Seahawks recently walloped the 49ers back in week 16 42-13 and split the season series 1-1 with a 13-6 loss to San Fran in week 7. It could happen. Super Bowl XLVII Broncos vs Seahawks: Peyton Manning and the Denver Broncos win the franchises first Super Bowl since 1998 (The Denver Broncos had home-field advantage in 1998 also) as Russell Wilson and the Seattle Seahawks heroics aren’t enough with Denver winning 31-21. 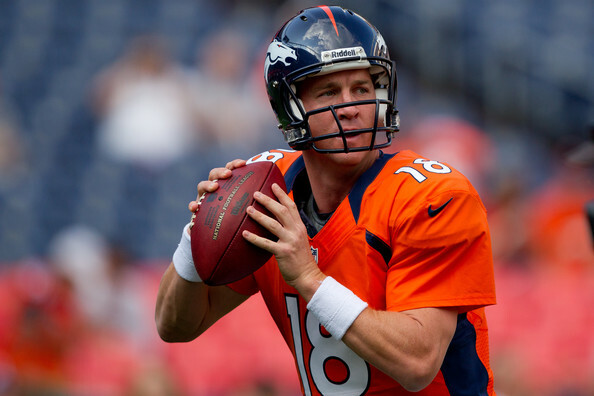 Manning wins Super Bowl MVP. Final Thoughts: I want to here from NFL fans and Pats fans on this one. Can the Patriots win their first Super Bowl since 2005? How do you see the playoffs panning out? Leave a comment below. Final Thoughts: Just to recap the Browns, Cardinals, and Chargers will need both a new GM and head coach. The Bears, Bills, Chiefs, and Eagles will all need new head coaches. 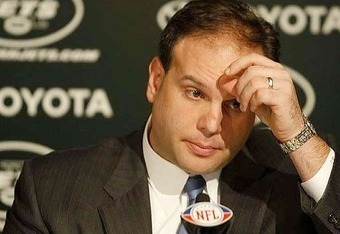 While the Jets and Jaguars will need new GM’s. To put these firings into perspective nearly a 1/4 of the NFL will need a new head coach. What do you think? Who should these teams hire next season? 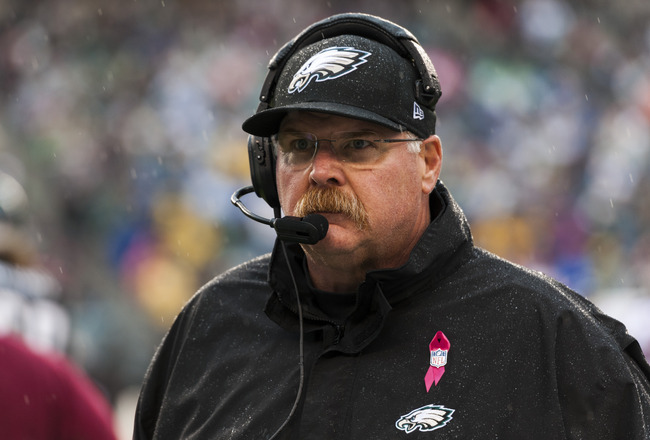 Should any other NFL coaches get axed? Leave a comment below.